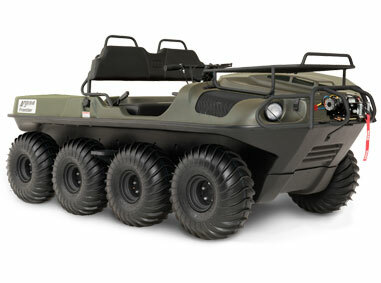 Shank’s Argo caters to passionate off-roaders looking to experience the wonders of the frontier. 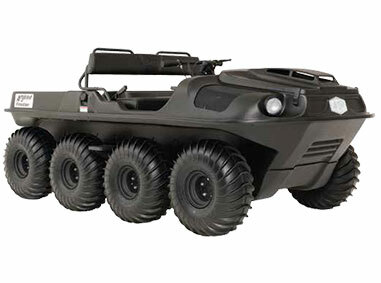 For such an application, an Argo Frontier 6×6 or 8×8 XTV is the perfect choice. 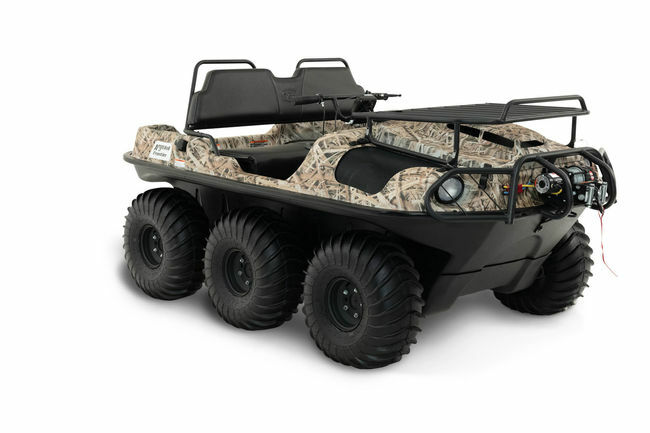 Built to endure the rigors of off-roading, Argo’s XTVs are some of the most durable frontier exploration vehicles on the market. 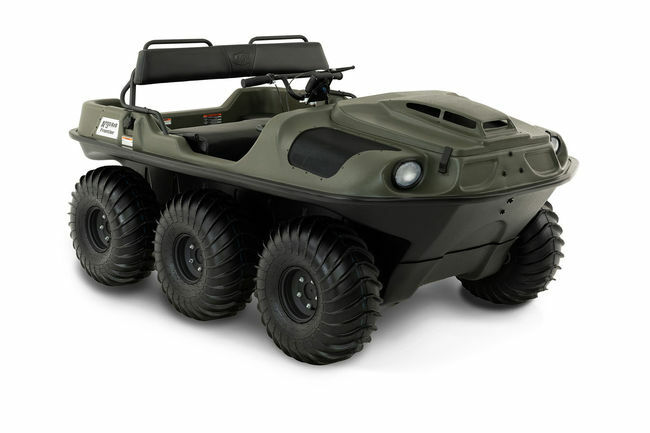 The incredible terrain and water capabilities of Argo’s XTVs make them popular with outfitters, utility companies, and other professionals working in extreme environments, but that doesn’t mean they have to be out of reach for the average outdoor enthusiast. 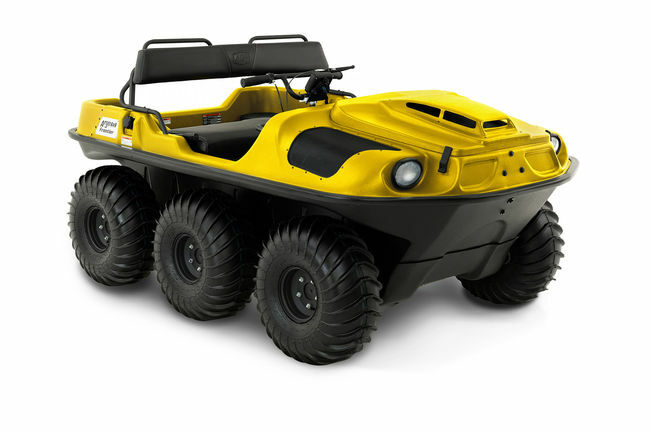 The Frontier series delivers everything you expect from an Argo in a package that’s perfect for private ownership and commercial use. This series of XTVs is available in a range of 8 models with both 6 and 8 wheel options, letting you carry up to 6 people on land or 4 people on water. The standard Frontier 6×6 is Argo’s lowest price model, letting you get into backwoods exploring and add equipment as you need it. 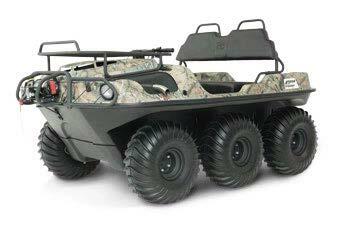 Step up to the S and ST models, and you get popular equipment including a bilge pump, skid plate, and side step. 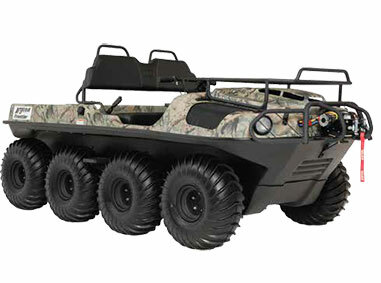 The Scout S and ST are part of the Wilderness range. 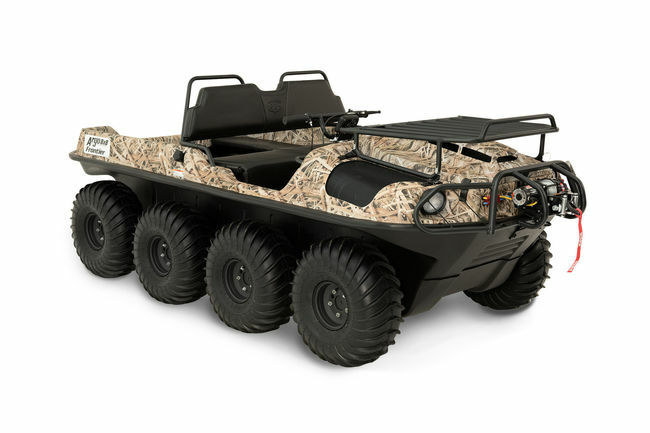 Built with hunting and fishing in mind, these models come in Mossy Oak’s Breakup Infinity camo pattern and are equipped with an added cargo rack, brush guard, and upgraded seats for hunting excursions. 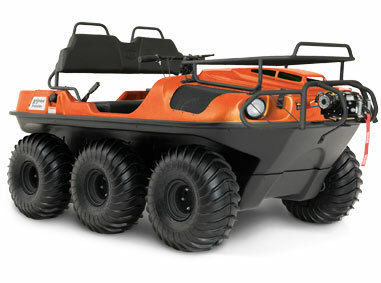 The Responder is built for emergency services. 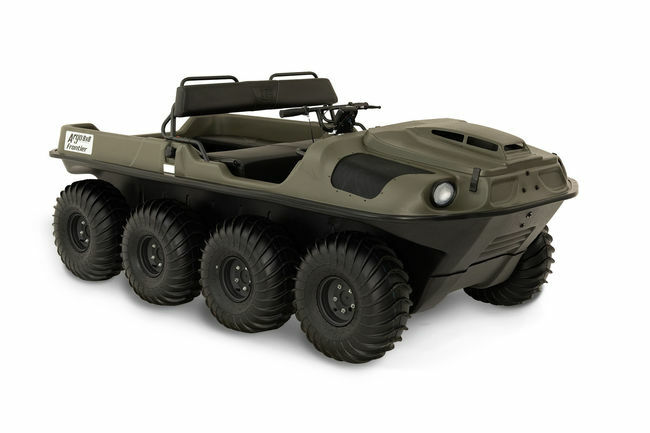 It adds a mount for a stretcher and a first aid cabinet to turn this XTV into an evacuation vehicle that can get places other vehicles can’t reach. 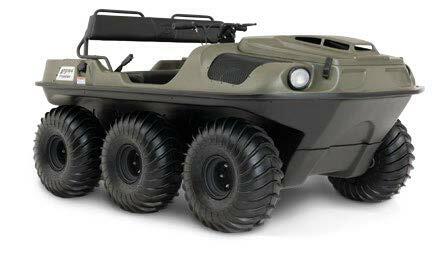 Argo also offers optional equipment to outfit this vehicle for firefighting.